Each item in the seating range stacks vertically and boasts handy apertures that enhance portability. Our Stools and Chairs also feature a small footprint for those projects where space is at a premium. 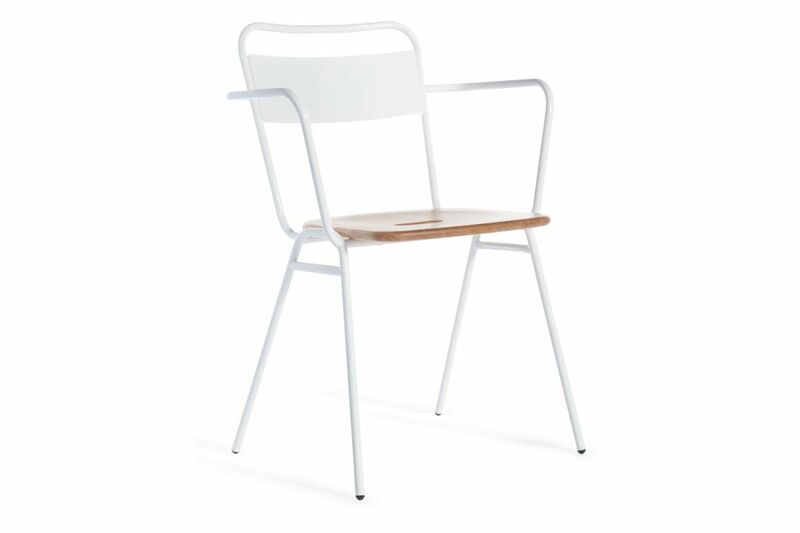 The Working Girl Chair features a powder coated or raw steel frame and a lacquered oak seat, branded on the underside with the designer, product and manufacturers name. There is also an option of bespoke branding for those clients wishing to add their own stamp. The broad range of products, coupled with the durable material selection makes the Working Girl Collection an ideal option for high traffic commercial applications within hospitality, education and workplace environments.